Check out my new electric toothbrush. I've talked before about my husband's obsession with good dental hygiene and how he bought an expensive electric toothbrush that works really well. He has some really pretty teeth, by the way, and a very strict teeth cleaning routine that he follows twice a day, every single day. 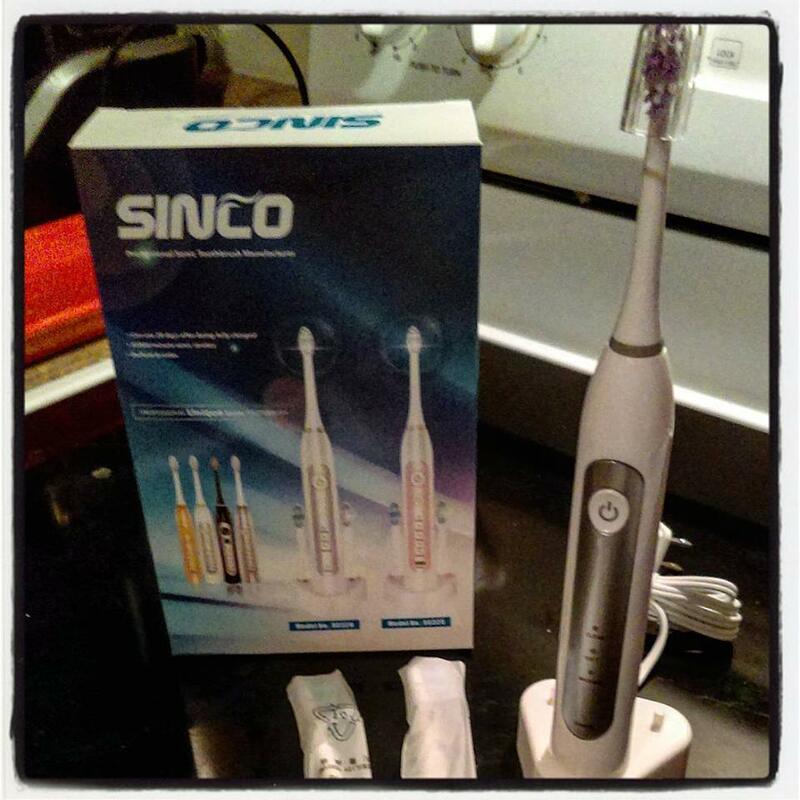 Besides using pricier floss and certain kinds of mouthwash, having a good toothbrush is of utmost importance to him. I try and follow along too, to keep my teeth looking nice and sparkly too. I was using an electric toothbrush before but I ran out of replacement heads and just haven't gotten around to buying any new ones. I thought it was the perfect time to try out a different brand, and so here we are. This one is by #sinco. It has three cleaning modes: clean, soft, and massage. It comes with a charging base, three covered and separately bagged replacement heads, and instruction manual. After fully charging, it should last about 28 days before needing to be charged again. 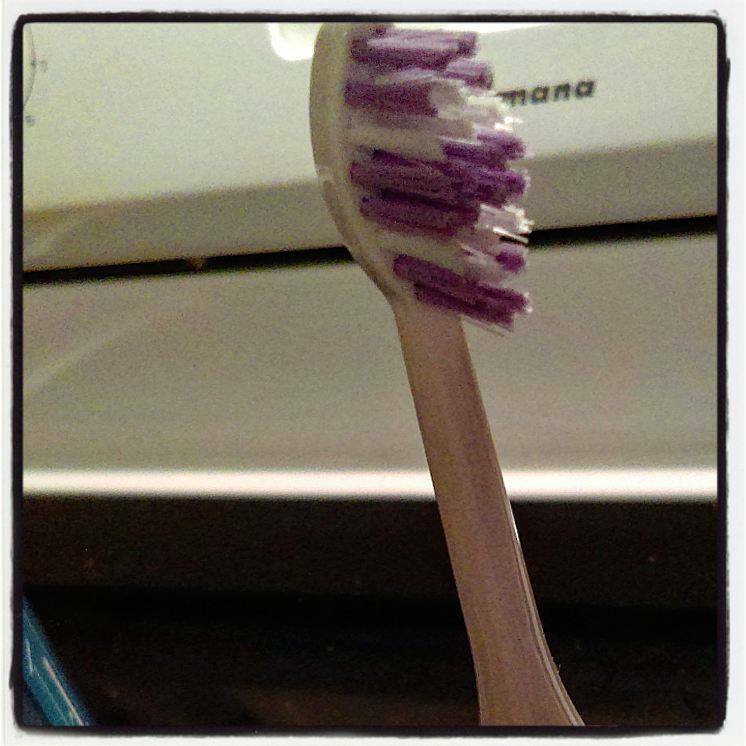 This toothbrush is fairly powerful and cleans well. It's not overly abrasive on your teeth or your gums, which is important. I like that it has a two minute timer and turns off when the two minutes are up. There is a slight pause every thirty seconds. The toothbrush with head are both waterproof. Also, this product comes with a 2 year warranty and the price of this toothbrush is under $30!